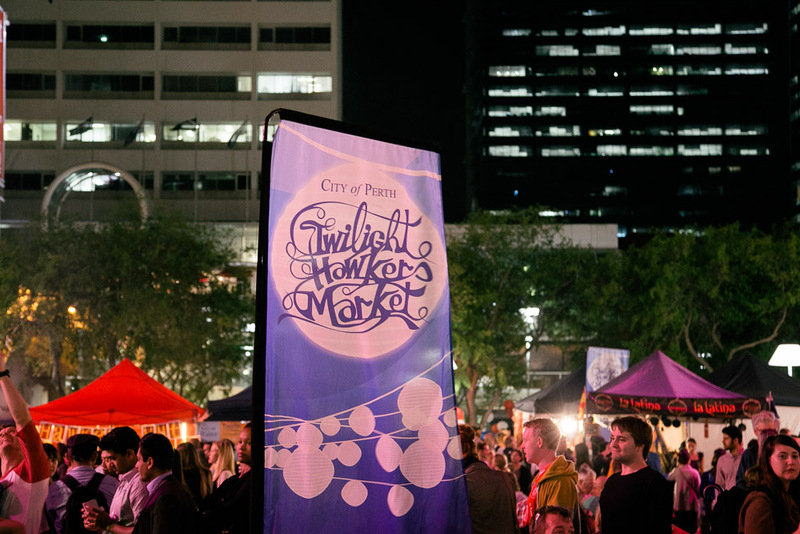 The Twilight Hawkers Markets are back, heralding the start of warm-weather good times in Perth. Every Friday night, a multitude of different food stalls harking from many international cuisines descends on Forrest Place in the city ready to feed the masses. It’s a great option if you’re looking for something different to eat before a night out in Northbridge, or even whilst you browse shops in Perth city. We sampled the South American pupusas, corn tortillas with a light fluffy texture, stuffed with cheese, refried beans and pork (yummo!) and I could not walk past the Vietnamese stall without ordering a banh mi, a crusty bread roll filled with pork belly, fresh coriander, slices of cucumber and carrot, and some crazy magic sauce that makes you feel like you could eat a hundred more banh mis! A lime coconut icy pole from La Paleta ended the night’s grazing most perfectly! I’m making a beeline for that bratwurst next time! (Hmm, that came out sounding weird…) But, for serious, I’m definitely going to be back! If you go, will you save a spot in that eternally long Argentinian Barbecue line for me? Ooh snags & sons, I love their food. They did T’s engagement party actually! Thanks for doing the post – this reminds me to finally pop down after intending to last time it was on. Oh Perth, getting soo cool! Melbourne is starting to follow a similar trend. It’s something that is long overdue. Agreed! It creates such a great summery, family vibe. Love it!